Dr. Dominique Caron, is French. He studied Dentistry at the University René Descartes, Paris V, France and graduated with honors. He founded his first dental clinic in 1987 in Versailles, France. Always at the cutting edge of the avant-garde of dentistry and dental technologies, Dr. Dominique Caron pioneered the first integrated and automatized sterilization center in the country, the first panoramic x-ray system created for dentists. 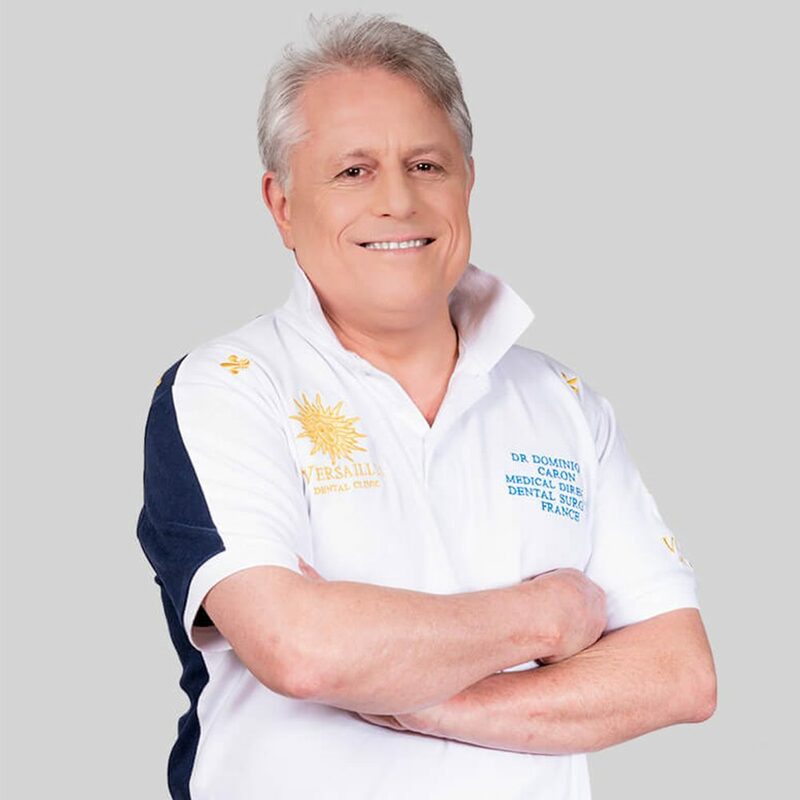 Dr. Dominique works always innovative and applies advanced technology treatment methods to the satisfaction of his patients : he is highly experienced in 3D ceramic restoration system from Cerec, making in minutes a full tooth in ceramic. Versailles Dental Clinic Dubai is located in Dubai Health Care City since 2007 awarded as one of the most leading center for advanced dentistry. Having treated more than 150,000 patients in 25 years, Dr. Dominique Caron offers years of professional experience and quality of treatments.